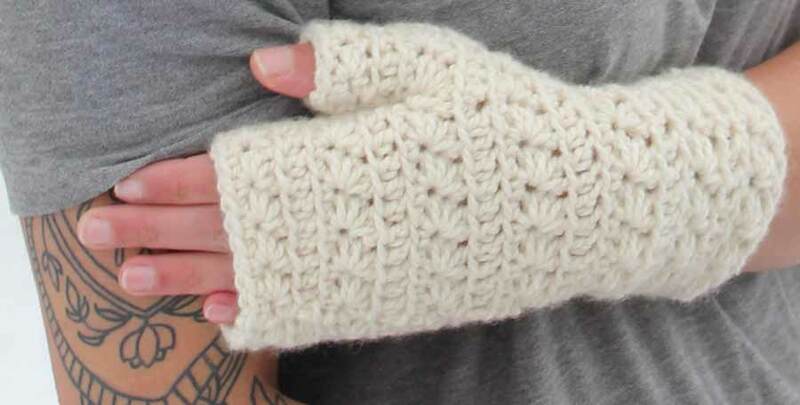 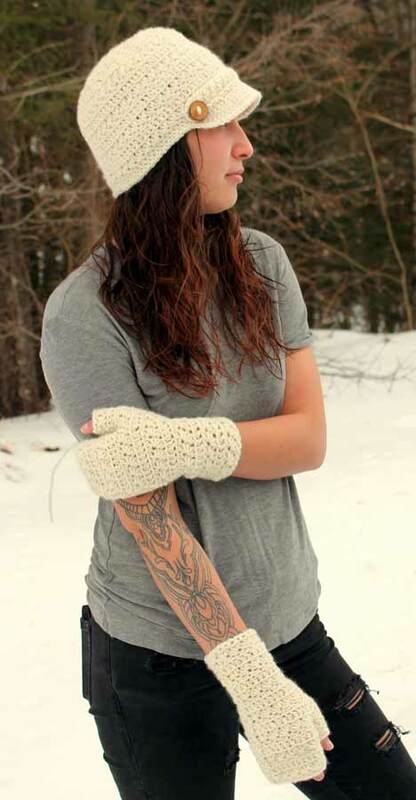 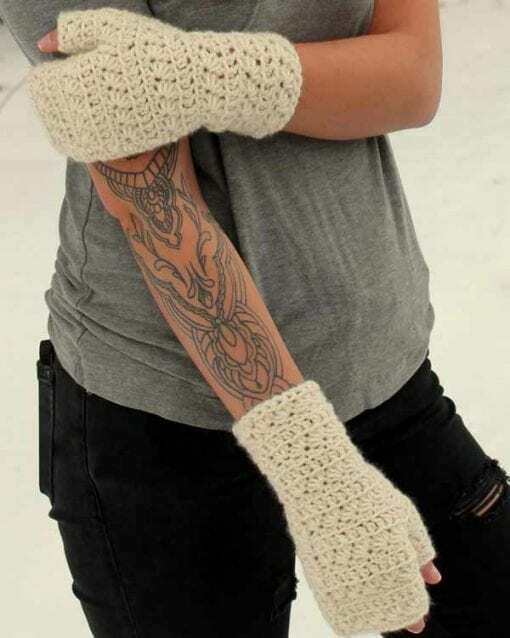 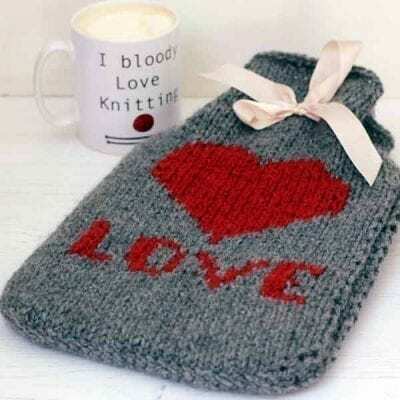 Enjoy a little bit of luxury everyday with these crochet fingerless mittens made from exquisite cashmere yarn. 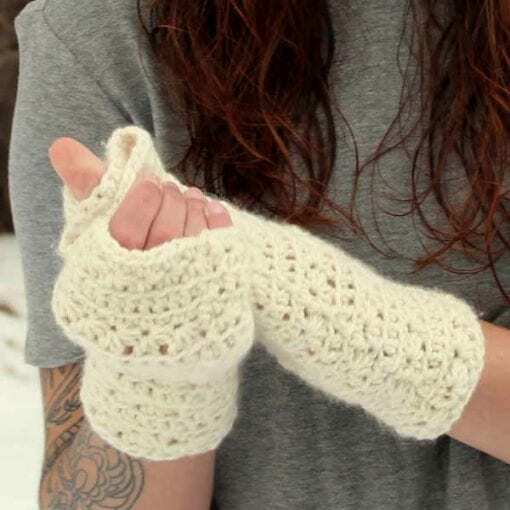 Enjoy a little bit of luxury everyday with these crochet fingerless mittens made from exquisite cashmere yarn. Also available with matching hat.